More than 7 million people undergo Botox® injections every year in the United States because it’s a simple and effective treatment that can erase lines and wrinkles and restore your naturally youthful look. 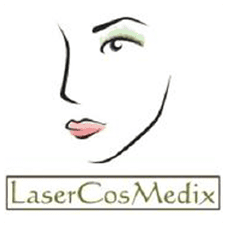 Expert cosmetic physician Laurene DiPasquale, MD, at LaserCosMedix® in Hillsdale, New Jersey, has been helping patients achieve their aesthetic goals for more than two decades with patients from Hackensack, Paramus, Westwood, and Bergen County. Dr. DiPasquale offers Botox injections to erase years from your look. Call the office today or request an appointment online to schedule your Botox treatments. 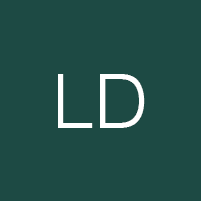 Botox is one of the most popular nonsurgical cosmetic treatments in the United States. It’s FDA-approved for the treatment of moderate to severe forehead lines, crow’s- feet, and frown lines. Dr. DiPasquale also uses Botox injections to minimize lines around the neck and mouth. Botox works by targeting the muscle movement under your skin, which is the underlying cause of your wrinkles and lines. Dr. DiPasquale injects small amounts of Botox in very precise areas of your skin, where it temporarily causes the muscle to relax to minimize movement and stop the formation of the lines and wrinkles. Dr. DiPasquale has more than two decades of experience helping patients reclaim their youth and confidence and knows exactly where to place your injections so you look naturally young without anyone knowing that you had anything done. What can I expect from Botox injections? Your Botox injections shouldn’t take more than 10 minutes with Dr. DiPasquale. You may need three to five injections depending on the area you’re having treated. The needles Dr. DiPasquale uses for her Botox injections are small, so any discomfort is minimal. You may notice some redness at the injection sites following treatment, but there’s no need for any downtime after your Botox. You can apply makeup to cover up the discoloration but be careful not to massage the injection site. Dr. DiPasquale may recommend you delay any strenuous workout by about two hours following your treatment. To minimize any risks, Dr. DiPasquale provides very specific instructions on how to prepare before your injections and how to take care of yourself after. You should start to see an improvement in your look within seven days of treatment. Botox offers temporary relief from lines and wrinkles, and your effects may start to wear off around three to four months after your initial treatment. Dr. DiPasquale recommends you return to the office once you notice a change in your appearance so she can provide another set of injections. Regular Botox injections thin out the muscle under your skin and may help your treatment last longer. To schedule your Botox treatments, call LaserCosMedix today, or schedule an appointment online.